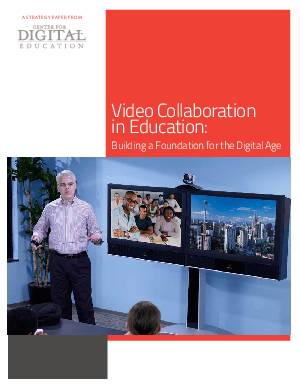 Video collaboration expands the reach of education. Walls mean little; oceans even less. Barriers of time and of place are breaking down, allowing students to learn in much different and more profound ways than ever before. Not only is learning more flexible due to mobile video communication solutions, but it can be eye-opening and life-altering as students experience new worlds, new ideas and new possibilities. Truly, video collaboration is more than just a ”nice to have” technology in education. Today, it is essential to improving student achievement and preparing them as professionals in the global economy.